Chicken Rice has been one of the many comfort foods on my list for a very long time. Sometimes, I tend to become homesick and miss a few of my favourite foods in Malaysia. One of them is chicken rice. As I was doing research on “Best Chicken Rice in Perth” on google , I stumbled upon Hoi Bo Chinese Restaurant. From the reviews on Urbanspoon, there were many great reviews and most of them were associated with the chicken rice. Could this be one of Perth’s best chicken rice on the north side of the river? I think so too. Mum and I arrived at Hoi Bo early on a Saturday for the Malaysian lunch. Not long after we arrived, the tables were all fully occupied and when I had a look around, most of the tables ordered Chicken Rice for lunch. That shows how popular the Chicken Rice is! 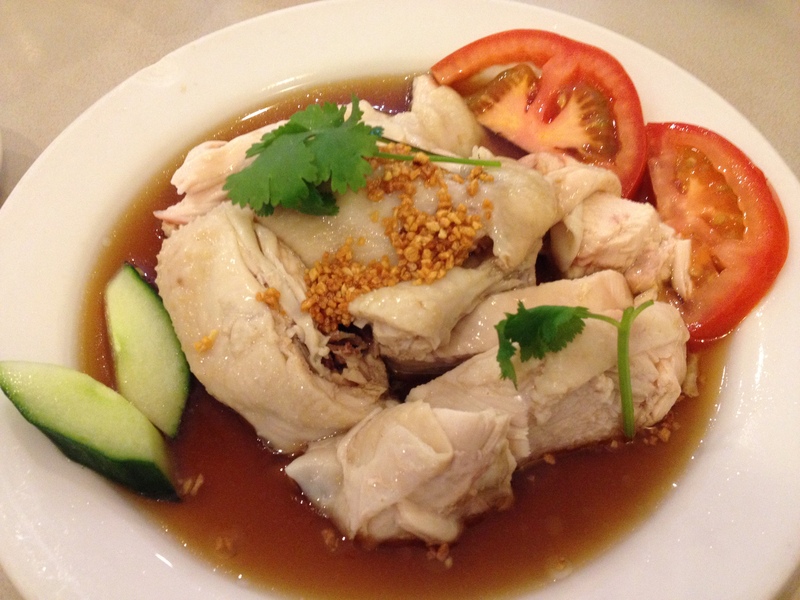 Hoi Bo has two different types of chicken; soya sauce and steamed. We had the soya sauce and steamed chicken. I really enjoyed both and thought that they were delicious and tender. A generous bowl of rice and a big bowl of soup with salted vegetables, tomato and a few chunks of meat accompanies the chicken too. The chicken rice was by far the most flavoursome and fluffiest chicken rice I have ever had in Perth. The soup was also full of flavour and the chili sauce complemented the overall dish very well. It was not too spicy and was just right for me. After finishing our hearty chicken rice lunch, we still have some room for dessert. 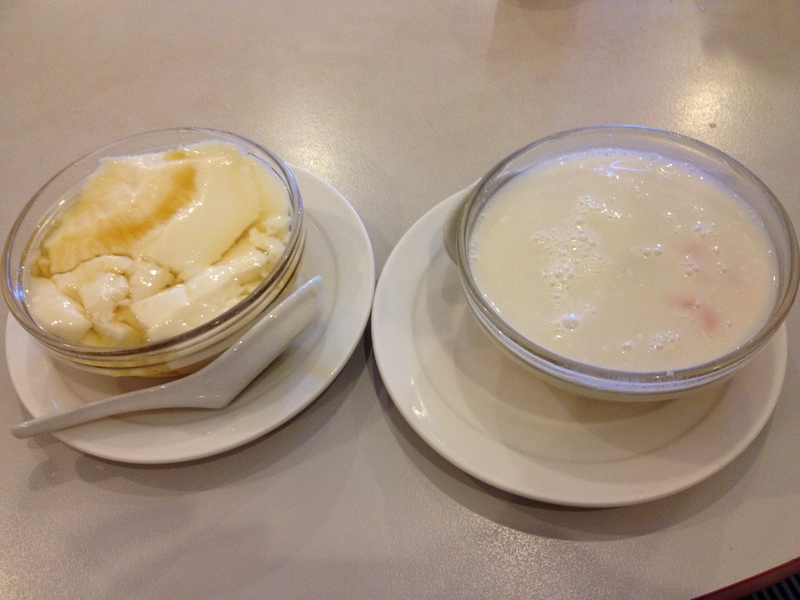 So mum and I decided to share a Bubur Cha Cha and Tau Fu Fa. The Tau Fu Fa was very smooth and the Bubur Cha Cha was executed perfectly with pieces of taro and sweet potato. It was a great dessert to end a yummy lunch. 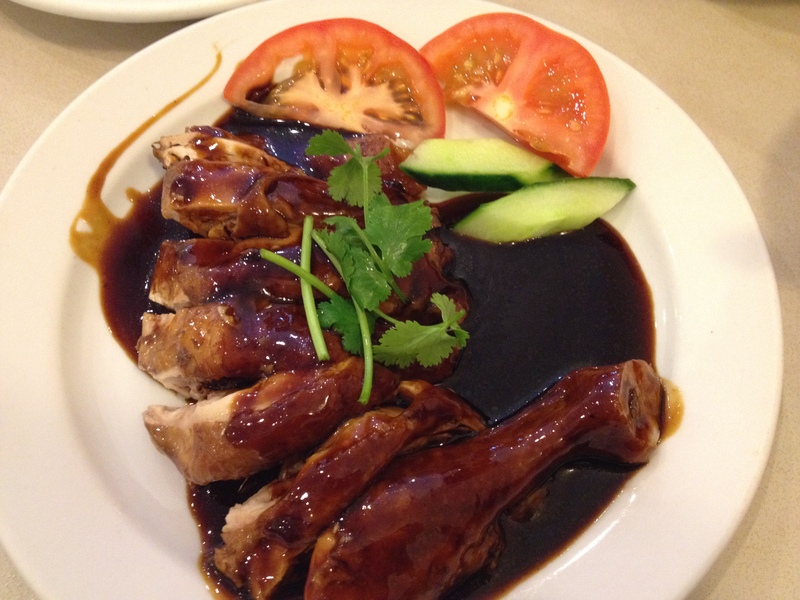 To satisfy your chicken rice cravings, why not pay Hoi Bo Chinese Restaurant a visit? Before I forget, Hoi Bo restaurant is closed for a week and will re open for business as usual on the 30th of October 2013 and the Malaysian Lunch is available only on the weekends. I am Malaysian and have lived in Perth since 1997. Miss the food back “home” a lot and used to eat chicken rice for lunch everyday before moving here. It is hard to find the real thing in Oz, and the reason Hoi Bo’s chicken rice is the best is because it has the most familiar taste of home. They drizzle fried garlic oil over the chicken, which they leave on the bone, and which instantly brings me back home. 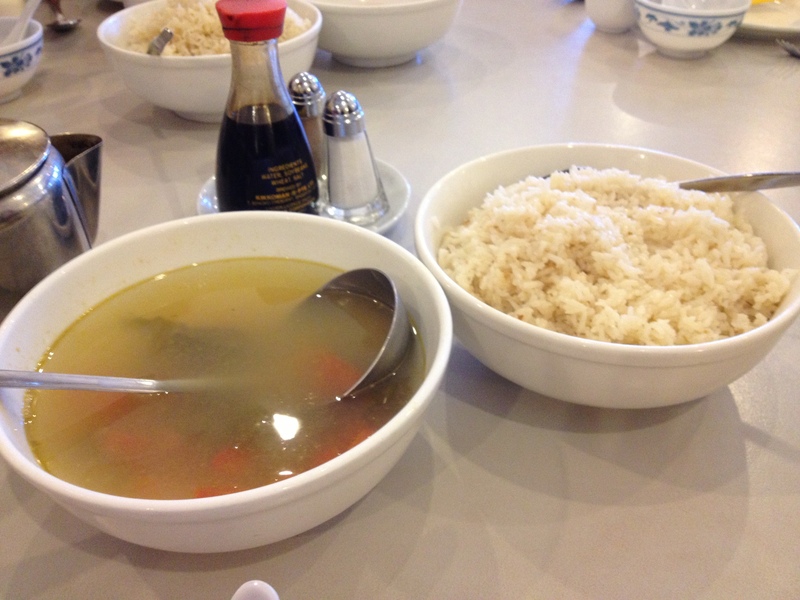 The soup served with the chicken rice is also a familiarity – Haam Choy soup, and a very clean-tasting one at that (not much oil either). There is also a dark chicken option which is actually not roasted and not the Hongkong-style soy chicken, but the Malaysian-style “loh kai” ie. in caramel (thick) soy sauce. This is also very good and is just delicious paired with the fresh cucumber slices – an instant reminder of home when I taste this combination! Brings back memories of the “lok-lok” stalls my dad used to take me to when I was a kid. The nasi lemak is also one of my favourites – also very fresh and clean tasting (the acar or achar is the best I have ever tasted) and the anchovies are crispy. These dishes, along with Laksa, Hokkien Mee, Prawn Mee, Mee Siam, Char Koay Teow, Cantonese Hor Fun in egg sauce, bubur cha cha, etc have all been available for lunch on weekends only. However, Hoi Bo is now moving, and from the 18th of August 2014 they will be serving these Malaysian lunch specials daily, and at a new location 3/3 Progress St, MORLEY (new telephone number: 9375 6688). I have to agree with you that it is quite hard to find authentic Malaysian food here in Oz. I really loved the chicken rice at Hoi Bo. The rice is so fluffy and tasty. I love both the steam and dark chicken and we usually order both when we have the chicken rice. For me, the chicken rice at Hoi Bo is so far the most authentic I have come across in Perth.